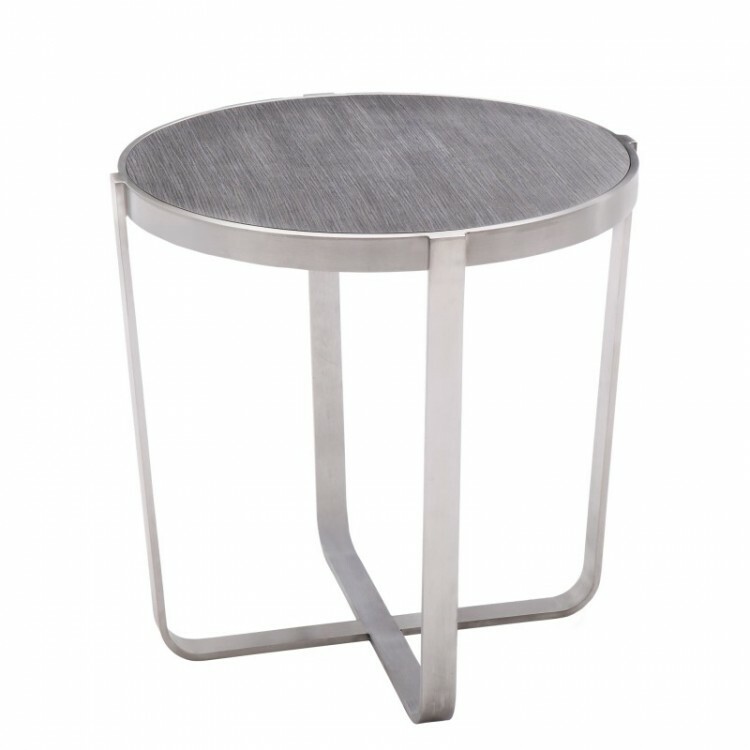 Description: Our Nova Contemporary End Table is a well crafted round end table that sensibly combines a Painted Gray Wood Table top with a Brushed Stainless Steel base configured in a symmetrical "X" pattern. 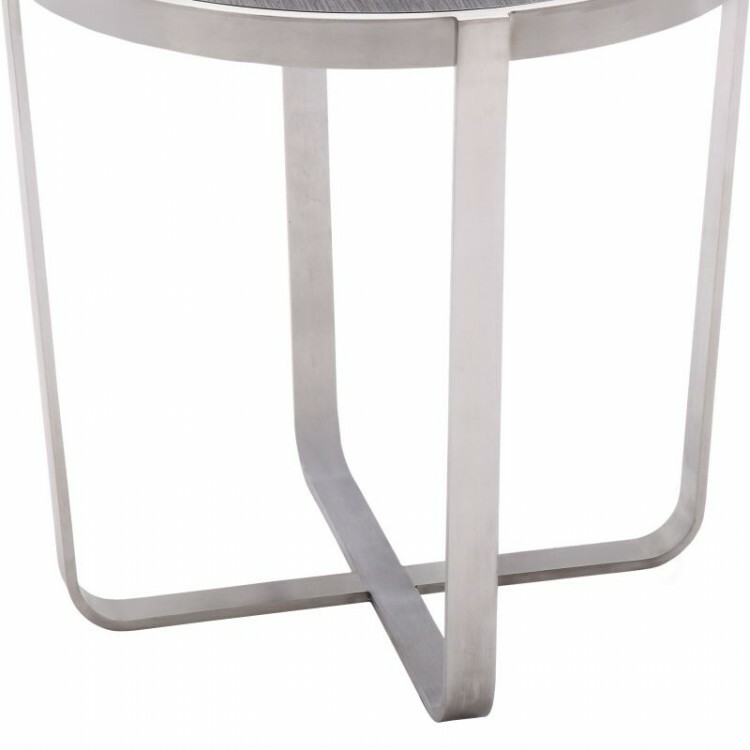 The piece has an adaptable personality and can fit into multiple home decor from modern and contemporary style to an industrial style, the Nova Collection can fit right in. 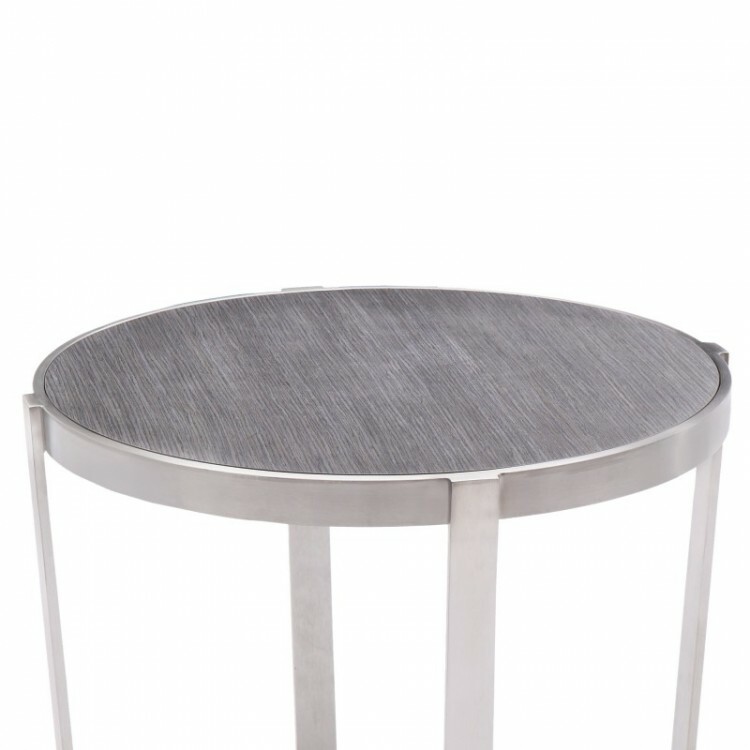 It's even and impeccable geometric shapes give your rooms a trendy, edgy look. Use the Nova Occasional Table to make your rooms stylish and sophisticated or as a Multi-Functional Table to place your cup of coffee or cocktail while relaxing.